Legendary North Carolina basketball coach Dean Smith. The late North Carolina basketball coach Dean Smith said thank you to all of his former players one last time in his will. About 180 former Tar Heels will get $200 checks from the accountant who administers his trust. The checks contain the notation "Dinner out." 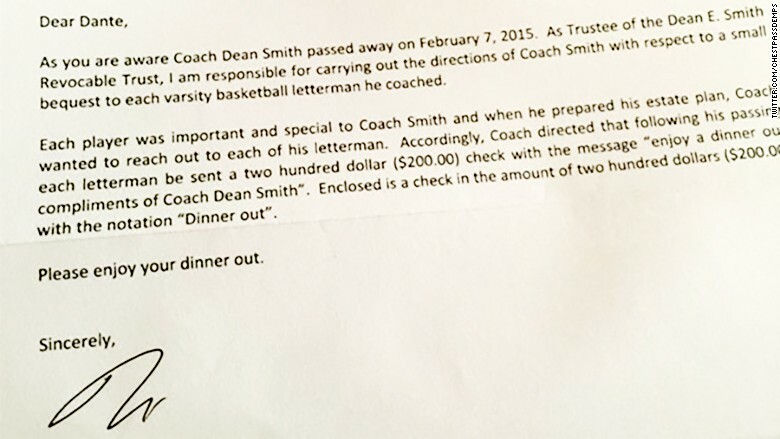 Tim Breedlove, the accountant who sent out the checks, wrote a letter to the former players telling them "Each player was important to Coach Smith and when he prepared his estate plan, Coach wanted to reach out to each of his lettermen." Smith's former players include Michael Jordan, who went on to earn more than $1 billion from playing in the NBA, his record endorsements and his investments. 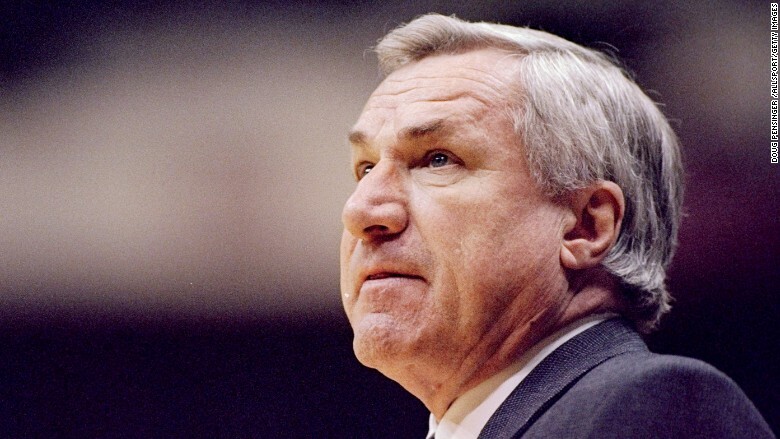 Smith, who passed away in February at the age of 83, was one of the most successful college coaches in history, compiling a record of 879-254 over the course of 36 seasons he lead North Carolina. He was one of the first college coaches in the South to integrate his team. The letter mailed to players. "This is one more example of his thoughtfulness and appreciation of each of his players," Breedlove told CNNMoney.